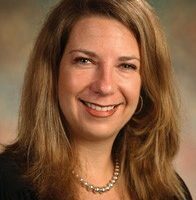 Melanie Prusakowski, MD is a pediatric emergency physician at the Virginia Tech Carilion School of Medicine and Carilion Clinic in Roanoke, VA since 2008. Boarded in Pediatrics (Rutgers University School of Medicine) and Pediatric Emergency Medicine (The Children's Hospital of Philadelphia), she has served as Assistant Program Director and Assistant Clerkship Director of Emergency Medicine, and became Assistant Dean of Admissions in February 2016. Her research and educational endeavors are related to the acute care and preventative health of children. Past research includes investigations of attitudes about maternal smoking cessation, translating bench research regarding antibiotic stewardship into changes in provider practice, education research in the training of new physicians, and safety studies in such various subjects as pediatric acute head trauma, provider learning, and training physicians to provide excellent care to acutely ill and injured children.